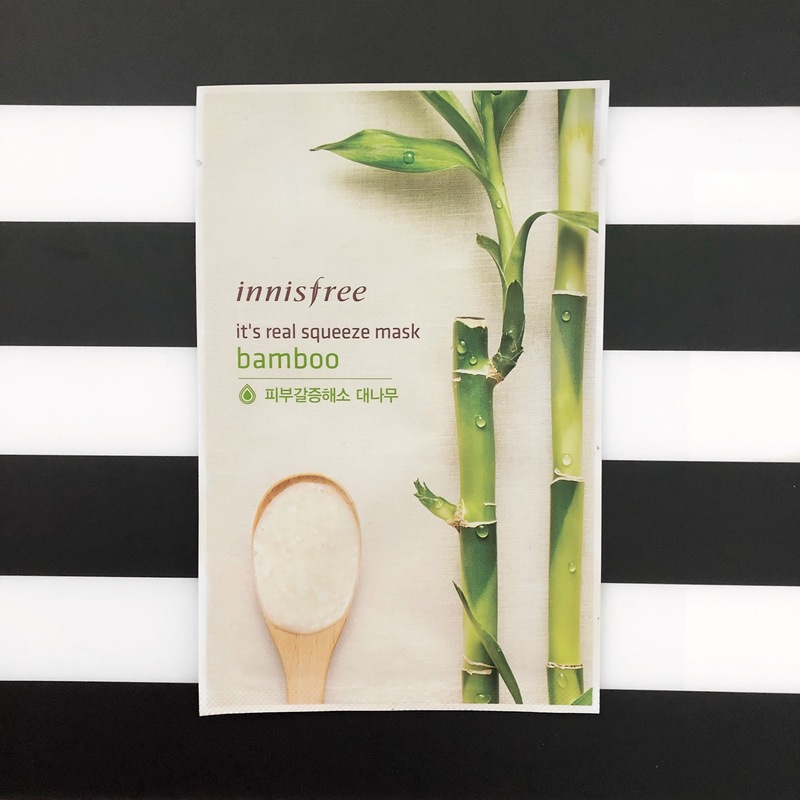 Today, I will be trying the bamboo mask from Innisfree. My acne finally shrunk a bit so I want to use something that is nice and moisturising to my skin. As usual, I got the mask during the buy 10 get 10 period a while back from Innisfree stores in Singapore and they cost SGD2 retail per mask. Since these masks are being refreshed in 2017 so I believe you will find them even cheaper in some stores since they will be clearing their stock. According to Innisfree, this mask claims to provide the skin with moisture. And that's all it claims. The sheet mask material is thin and cottony type. It is very easy to unfold and apply on my face. The sheet mask is soaked in the watery essence in the packet. As the sheet mask is kinda thin, it is easy to tear so make sure to apply it on the face properly. The fit is nice and fitted. Since the sheet mask is thin, I love how it fits on my skin and it doesn't slide down from my face. I wish the mouth holes are smaller but well, I always tend to say this but it's not the end of the world if the mouth holes are big. 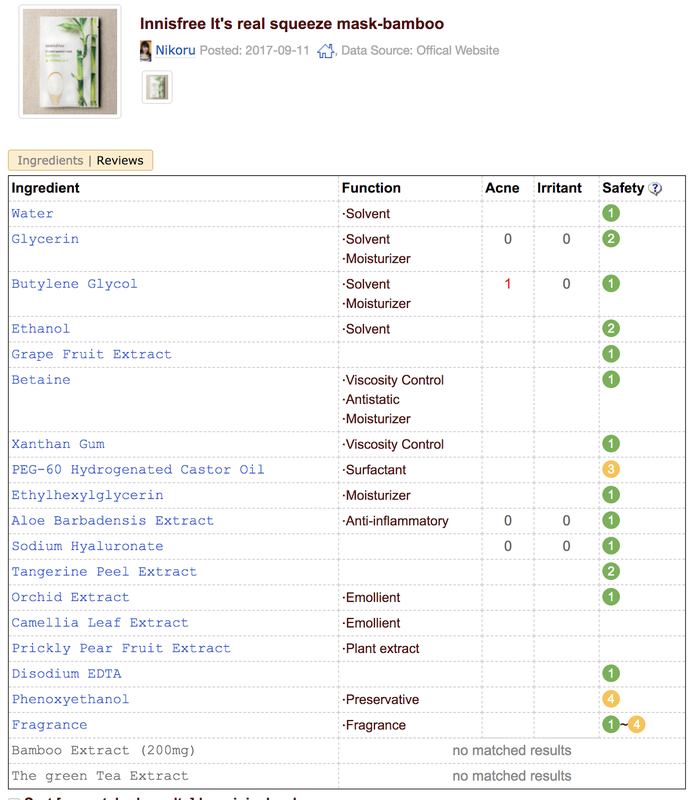 There is 20 ml of essence in the packet. The sheet mask is soaked in the essence so when application, make sure not to drip to the floor since it is a bit watery. There are still a lot of essence left inside the packet after applying the sheet mask on the skin. As usual, I left the mask on for 20 minutes. I was surprised on how much I love this mask. My skin drinks up the essence like I'm chugging water when I am really thirsty. I can actually feel my skin absorbing the moisture into the skin. Even after the 20 minutes mark, the mask is mostly soaked in the essence and not dry at all. I was really impressed by how much my skin loves it and how much essence is soaked in the mask and the ability of the mask to retain the moisture inside the mask. After I removed the mask from 25 minutes of wear time, I squeeze the essence from the mask and I could still get so much essence from the mask. I applied some to my face and pat it in and the rest to my neck and my arms. So, overall, I will give this a 4 star out of 5 stars. It is a must have if you want to try out the Innisfree masks. I will continue to look for the masks that I adore and will come back when I don't have anything new to try.